Editmaster Weddings is based out of Mumbai and is known for the contemporary style of work. Their specialization lies in candid photography and cinematography. Amardeep Nagi, who heads Editmaster Weddings is a second generation photographer who grew up watching his father, Indermohan Singh capturing images that went on to become heirlooms. Their team specializes in documenting the emotions at momentous events and their portfolio includes a diverse set of wedding ceremonies across India and abroad. Editmaster Weddings, Mumbai will deliver services as per your expectation and more without burning a hole in your pockets so choose them to make your special day even more special and memorable. 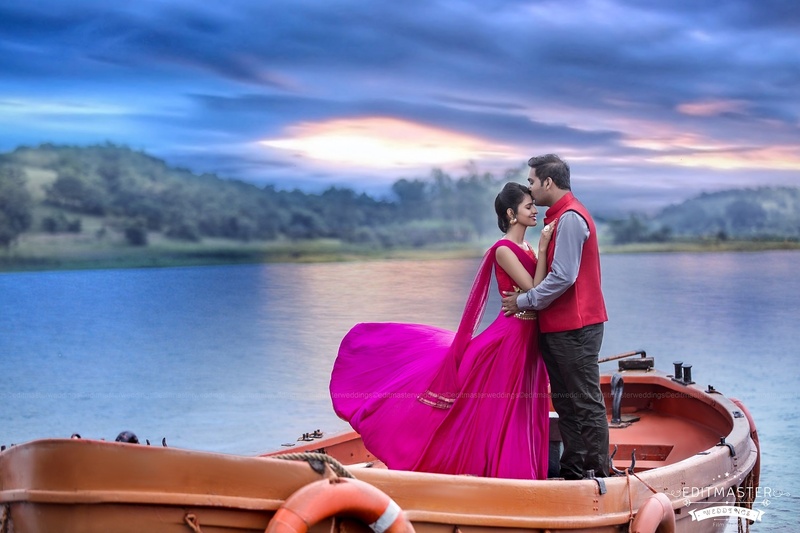 Editmaster Weddings is a Wedding Photographer based out of Kalbadevi, Mumbai . Editmaster Weddings's telephone number is 9222322422, Editmaster Weddings website address is http://editmasterweddings.com/, Facebook page is Editmaster Weddings and address is Kalbadevi Road, Mumbai, Maharashtra 400002, India. In terms of pricing Editmaster Weddings offers various packages starting at Rs 100000/-. There are 2 albums here at Weddingz -- suggest you have a look. Call weddingz.in to book Editmaster Weddings at guaranteed prices and with peace of mind.